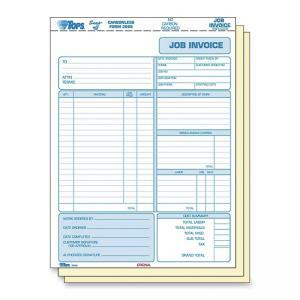 Tops Three Part Carbonless Job Invoice Forms - 11" Length x 8.50"
Job invoice has three parts with black image carbonless. Third part is made of index stock for a lasting record. Original is on white stock printed with blue graphics; duplicate is canary and triplicate is manila. 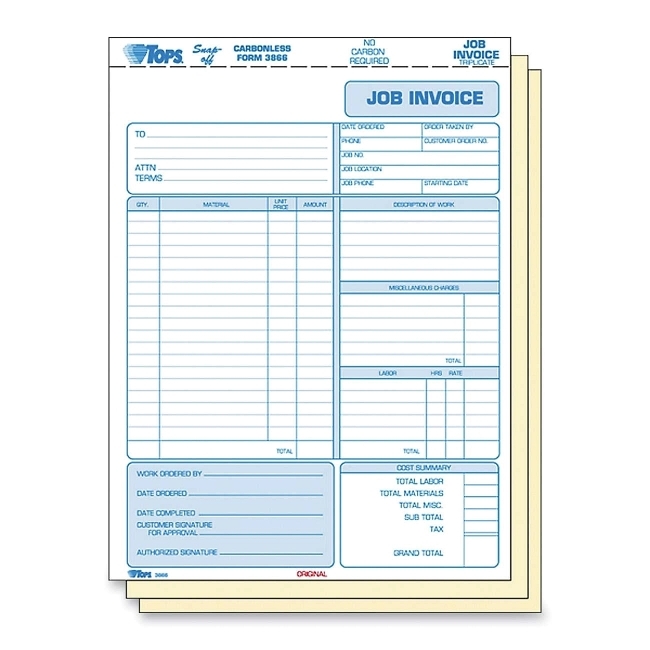 Each form offers detailed charting to describe the service recipient, job information including a description, materials, quantities, costs, miscellaneous changes, labor, hours worked, rate of labor and cost totals, including a space for tax.